Individuals and organizations are invited to submit news releases, short articles and photos about their issues and events. 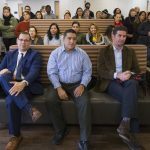 Milwaukee Area Technical College today announced plans to seek a formal designation as a Hispanic Serving Institution (HSI) from the U.S. Department of Education. 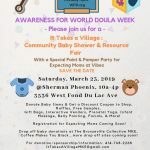 A day of pampering and resources for expecting Milwaukee mothers and families. On Wednesday March 13, 2019 PEARLS for Teen Girls, Inc., a development organization serving Milwaukee teen girls, will host their annual Inspired to Lead event at Discovery World. 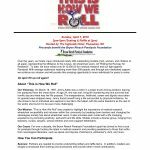 2019 “This Is How We Roll” Fashion Show call for models is now open! We are searching for 50 wheelchair users, men, women, and children, of all ages to model our retailer’s clothing and promote our mission. 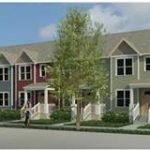 Quality housing added to Milwaukee’s 30th Street Corridor. The Jewish Community Relations Council of the Milwaukee Jewish Federation is seeking nominees for its fifth annual Robert H. Friebert Social Justice Award. The inaugural César E. Chávez Spoken Word Contest will take place on Sunday, March 24th at the Marcus Center for Performing Arts. 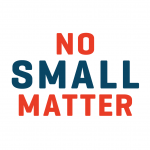 Next Door — a leading provider of high quality early childhood education in Milwaukee — is partnering with the Greater Milwaukee Foundation, Milwaukee Succeeds and United Way of Greater Milwaukee and Waukesha County to present a free screening of the new documentary, No Small Matter, on Wednesday, February 27, 2019. Together, Versiti Blood Center of Wisconsin and blood donors across the state make a life-saving impact through the gift of blood donation. The National Association of Community Health Workers (NACHW) is seeking interested CHWs to become NACHW Ambassadors. We are seeking a total of 20 CHWs to serve in this capacity.